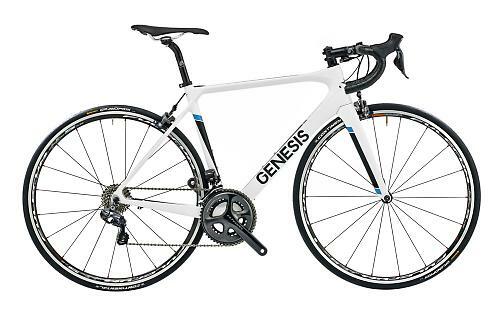 Genesis has today launched its first carbon fibre bikes in the Zero range. The British brand says that the Zero has been over 18 months in development and will make its race debut with the Madison Genesis team in this year’s Tour of Britain. The Zero range features six models, all of them using the same frame. “The Zero has been specifically designed to meet the extreme demands of stage racing where reductions in overall weight and aerodynamic improvements can make a real difference; the resulting frame now weighs-in below 1kg,” says Genesis. Genesis Zero - Welcome to the Team from Sportline on Vimeo. The down tube has a large Kamm tail profile that is designed to provide both a stiff pedalling platform and an aerodynamic advantage. The head tube has been shortened so that the fork crown flows into the down tube. Removing the gap that usually sits behind the crown is intended to minimise turbulence in that area and so reduce drag. The Zero frame was designed in Britain and it comes out of Genesis’ own moulds so you won’t find this frame sold under other brand names. The most affordable model is the Zero .1 at £1,299.99 (above and main pic). It is built up with a Shimano Tiagra groupset and Versus 30mm alloy rims on Shimano hubs. 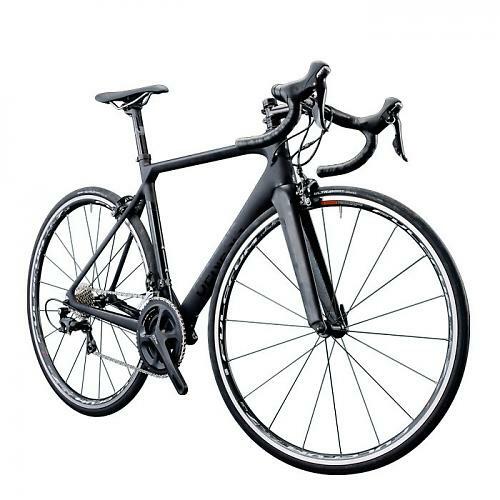 The range topper is the Shimano Dura-Ace equipped Team (above) which is priced £4,499.99. That’s Dura-Ace in its mechanical incarnation (rather than Di2) with C24 wheels. These two models are available now with the rest of the range available from the end of this month. 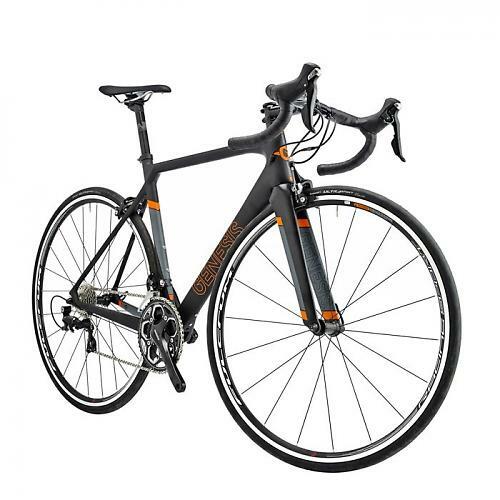 The Zero .2 at £1,499.99 (orange details, further down the page) is fitted with a Shimano 105 groupset and Fulcrum Racing Sport wheels while the Zero .3 (above) will come with Shimano 105 and Fulcrum Racing 7 LG wheels. That one will be priced at £1,699.99. The Zero .4 (above) will have a Shimano Ultegra groupset, Fulcrum Racing 7 LG wheels and a price tag of £1,999.99, while the Zero i (below) will have a Shimano Ultegra Di2 groupset and Fulcrum Racing 5 LG wheels and it'll be priced at £2,999.99. Continental tyres are used across the range, as are Genesis alloy bars, stems and seatposts. “We are excited to announce our debut carbon range, Zero. This gives the public and the Madison Genesis team a full choice of frames, which excel in different environments,” said Phil Hamill, Brand Director at Genesis. “The Volare will continue to be used in next year’s Pearl Izumi Tour Series whilst the Zero will be used in stage races, such as the Tour of Britain. Genesis Zero - What The Team Had To Say from Sportline on Vimeo. As mentioned up top, the Zero will first appear in this year’s Tour of Britain. The race starts in Liverpool on 7 September. 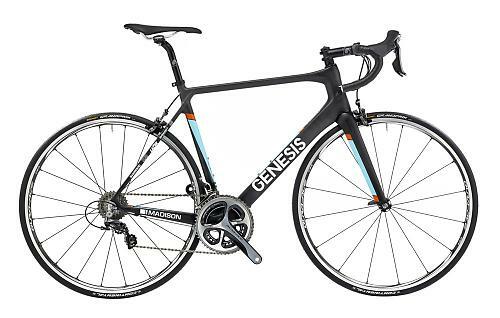 Genesis say that the steel Volare is far from over and that the carbon-fibre Zero simply gives them another option. A carbon bike wasn't explicitly requested by the team and the riders are still free to choose to ride steel. However, Genesis say that in order to get the lightest permitted bike (6.8kg), they had to look to new materials because they've already taken steel as far as it can go without compromising the stiffness required for a thoroughbred race frame. 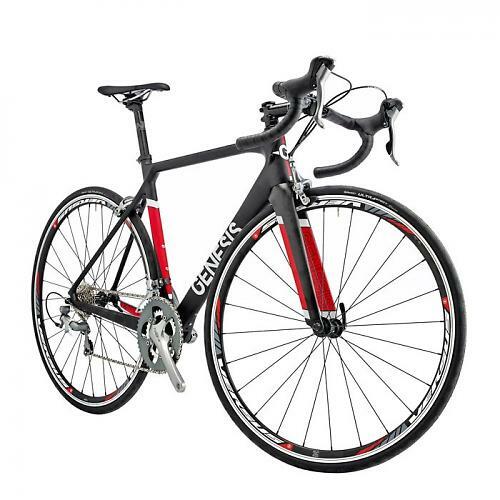 The Genesis Volare Team 953 that we reviewed here on road.cc weighed 7.8kg. That is not to say that new grades of steel won’t become available in future to get the weight down. For example, they're looking at a new head tube for 2016, tapered instead of XX44, which should save some more weight. 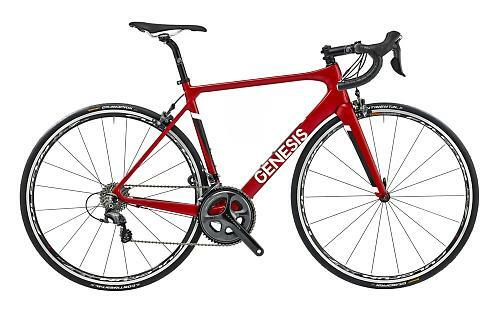 For more information go to www.genesisbikes.co.uk.